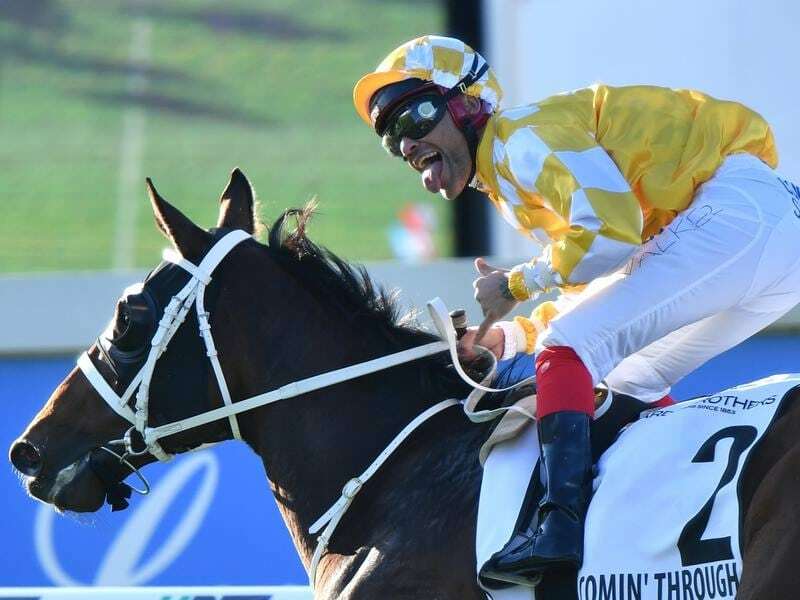 Some jumping and trips to the beach have formed part of Comin’ Through’s preparation for the Underwood Stakes which champion trainer Chris Waller hopes has the desired effect in the Group One race. Comin’ Through won the Group Two Tramway Stakes first-up at Randwick this preparation before finishing sixth in the Group One Makybe Diva Stakes at Flemington last Saturday week. Waller said Comin’ Through just got too far back that day and flagged the intention for this year’s Doomben Cup winner to settle a lot closer in Sunday’s 1800m weight-for-age race at Caulfield for which he has drawn barrier two. “His sectional times were very good (in the Makybe Diva),” Waller said. “We’ve just kept him interested by doing a little bit of schooling over some fences and a few trips to the beach and he seems to have switched on nicely. Makybe Diva Stakes winner Grunt was the $2.90 favourite on Wednesday in a field of 10 ahead of Humidor ($3.60) who is one of three runners for premier Victorian trainer Darren Weir along with Black Heart Bart and Tosen Basil. English trainer Charlie Appleby won last Saturday’s Sir Rupert Clarke Stakes with international visitor Jungle Cat and is chasing his second Melbourne Group One win in as many weekends with Blair House set for his Australian debut. Blair House occupies the third line of betting ahead of Comin’ Through who has drawn barrier two and was at $7 on Wednesday. New Zealand mare Bonneval is aiming to become the first horse since Northerly in 2001 and 2002 to win the race back-to-back.